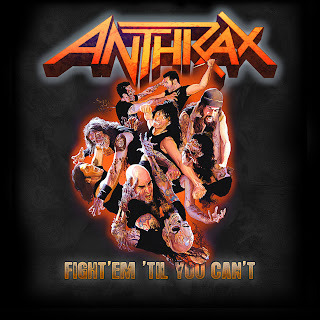 THE METAL ADVISOR: New Anthrax Song: "Fight 'em 'til You Can't"
Yowza. I just got smacked in the face with Anthrax's new song. Based on the situation with the band that has been ongoing for many years, and the fact that they haven't released anything decent since 1990ish, this was a surprise. No, it isn't a return to Spreading the Disease or Among the Living quality material, but it's still very listenable. Quick thoughts - The good: Belladona sounds a lot better than expected, and the chorus was catchy enough. 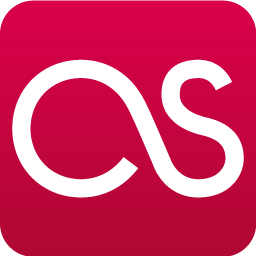 Throughout the song, I thought I recognized a few melodies reminiscent of past 'thrax tracks. The bad: As a fellow member of Metal Archives said, "Gridlock" called and wants its riff back. No big, though. I guess you're allowed to rip your own material off. The gang vocals get a big "meh" from me when compared with the older stuff. It sounds...odd. Eh, let's just wait for the album to be released. I'm not getting my hopes up because I'll likely be disappointed. I think I'll just pop Among the Living in my CD player when I need my Anthrax fix, but hopefully I'll eat my words. We'll see.